Cleansers had always been products that had never interested me, I used them and didn’t really notice any difference in my skin. 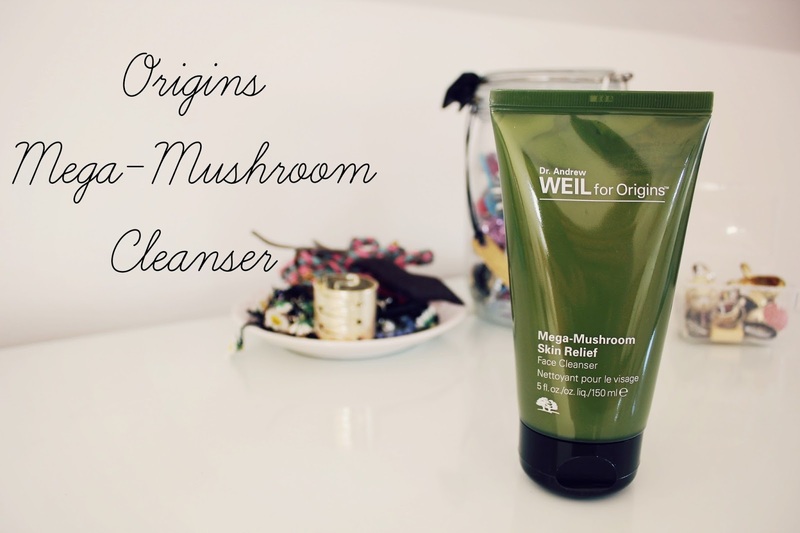 One time at work someone mentioned the Origins Mega-Mushroom cleanser and suggested I should try it out, at the time I had quite bad skin and was fed up! Before this I had tried the Spot Remover from Origins which I loved, when I bought that I was given three samples of other products that were so lovely. All their products smell amazing which is always a plus! 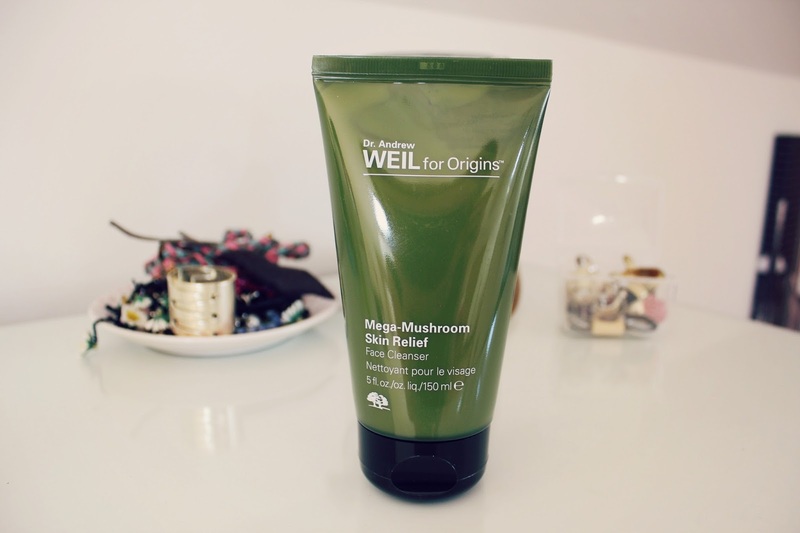 When I ran out of the cleanser I was using at the time, I picked up the Mega Mushroom Cleanser and decided to give it a go. Firstly I should mention that I hate mushrooms however the product doesn’t really smell of them, although it doesn’t have the same fruity, citrusy scent that a lot of their other products have. I use this product morning and night to cleanse my skin, the consistency is slightly thicker than a cleansing milk but it’s still quite liquidy which makes it feel very moisturizing on my skin. This is important to me as I suffer from dry skin on certain sections of my face and have used products in the past that are so thick and dry that they feel like they are taking a layer of my skin off! As I said before I was never that bothered by cleansers and they never seemed to do anything, well this was the first one I used where I really felt a difference. My skin felt baby smooth and like every part of my skin had been thoroughly cleansed! The best part is that this didn’t react to my skin at all, I’m pretty sure I breakout to 99% of products but my skin was absolutely fine with this! I feel like it actually improved my skin after the breakouts I had been having before I began using this! I bought this from John Lewis and it retails at £26, this could be quite steep for some people but I highly recommend it as it’s the only cleanser I have repurchased and will definitely carry on repurchasing! I also definitely want to try more Origins products so if you have any recommendations, leave them in the comments! The name put me off this slightly, I do like mushrooms but not sure about them going near my face! I do love Origins though so think I will have a look at this now! I like mushrooms but the idea of putting something mushroomy on my face kind of scares me! Whenever I have seen a review on a Origins product, it's always been a positive one! But like you said their prices are a little steep. I wish they were cheaper.